Today, we have covered the best smart TV deals of Paytm Mall. The TV’s we have listed down below are from brands like LG, Sony, Samsung and more. With Smart TVs, people have a wider range of content to choose from, instead of just relying on regular TV channels. 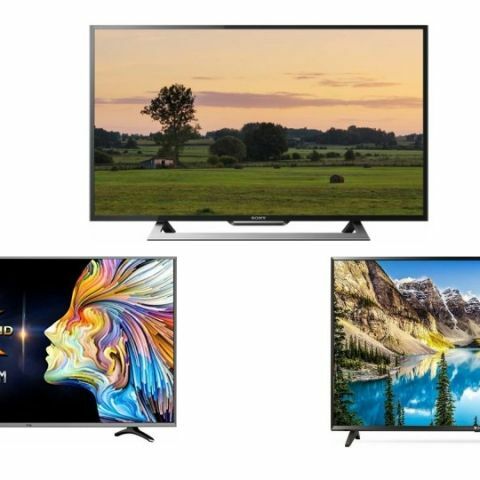 Today’s we'll take a look at some of the best smart TV deals that Paytm Mall has to offer. The LG 4K Ultra HD Smart LED TV offers a resolution of 3840 x 2160 pixels with a panel size of 43-inches. It features a Bluetooth 4.0 connectivity that lets you connect a wireless headset or speaker to the TV directly. The TV comes with WebOS, and users have the option of downloading apps like Netflix, Youtube, Sony liv and more. Click here to buy. The VU Full HD Smart LED TV features a 43-inch display with a resolution of 1920 x 1080 pixels. The device comes with a built-in Wi-Fi that lets you connect the TV to your home network and download apps like Netflix and Youtube. Click here to buy. The LG Ultra HD 4K Smart TV offers a resolution of 3840 x 2160 pixels with a panel size of 55-inches. This smart device comes with a multi-tasking feature that allows you to watch & surf the internet at the same time. It has two USB ports and three HDMI ports to connect external devices like USB flash drive, set-top box and more. Click here to buy. The Sony Full HD LED Smart TV offers a resolution of 1080 x 1920 pixels with a panel size of 40-inches. As it is a Smart TV, you have an access to apps like Netflix, Youtube and more. It has two HDMI ports and two USB ports as well. Click here to buy. The Panasonic 4K Ultra HD Smart LED TV comes with a built-in Wi-Fi that lets you connect the TV to your Home network. This smart device allows you to watch, surf and control the TV with your smartphone. It has two USB ports and three HDMI ports to connect devices like USB flash drive, set-top box, and more. Click here to buy.